1951. 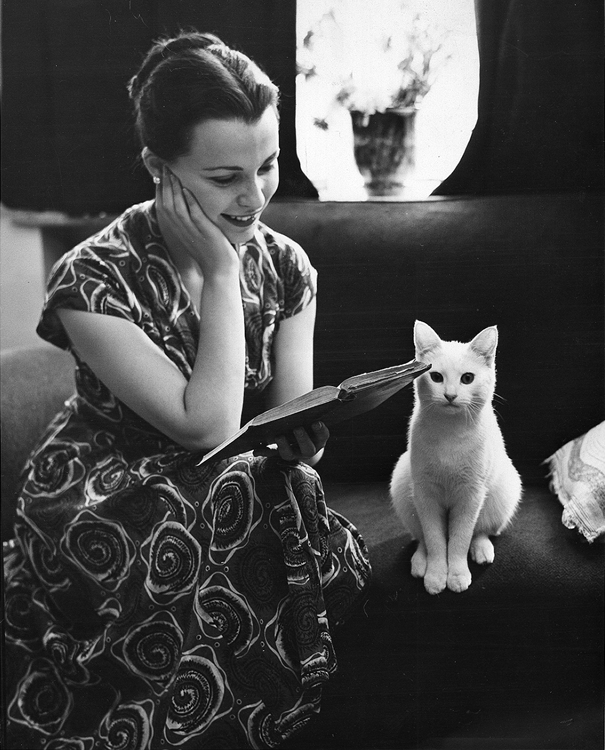 Claire Bloom runs through her script. Her friend steals the show. Or should we say the “limelight”? Photo by Leslie H Baker.